Assoc. Prof. Dr. Haider F. Abdul Amir obtained his Master and PHD degree in Engineering Physics (with Concentration on Semiconductor Devices, Instrumentations and Nuclear), from Faculty of Engineering, University of Gadjah Mada, Indonesia, secondment of Osaka University Japan. He had his first degree in Faculty of Sciences, University of Baghdad at Iraq. He had taught at many universities and Institutions, in Iraq and Indonesia. 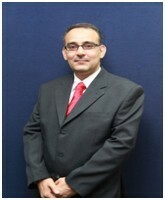 He is currently working as Associate Professor in Universiti Malaysia Sabah (UMS), Malaysia since 2006. His current research interests are nanotechnology in electronic, semiconductor materials, nuclear physics and green technology. He has a track record of fundamental research on these topics which is documented by numerous publications. He has been reviewer for numerous journals and indexed papers, such as Borneo Science, IEEE, ScienceDirect.